Buy WRC 5 World Rally Championship cd key for PC in digital version at best price is now possible thanks to Gocdkeys! You can preorder the digital code for Steam of WRC 5 World Rally Championship in any of the online stores that you can find below (release date December 2015). To activate the download from Steam, you need to add the digital serial of WRC 5 World Rally Championship into your user account. It is the fifth installment of one of the most impressive rally games of late, and this time, come loaded with more extras and additions as compared to previous deliveries. It will feature new scenarios, new game modes and cars of the 2015 season as well as a new graphics and physics engine that will give levels of realism never seen in this saga. Get ready for the most realistic and frantic racing games and test the limits of your vehicle in the best simulator Rally that currently exists in the market. Please review information on delivery times, modes of activation and payment methods in each store. 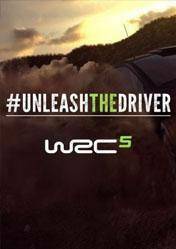 There are no comments yet about WRC 5 World Rally Championship . You can be the first one!